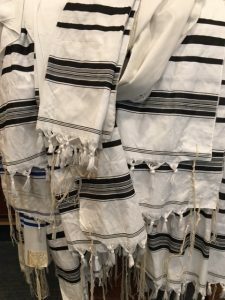 Our egalitarian, Conservative congregation cherishes our rich heritage and offers our community a full range of ways to observe Shabbat, festival and lifecycle events. Services are conducted primarily in Hebrew with some English readings. While the clergy lead the majority of services, interested congregants may also lead portions of a service. Men are expected to wear kippot and a tallit when appropriate. Women are also encouraged to wear a kippah and tallit.